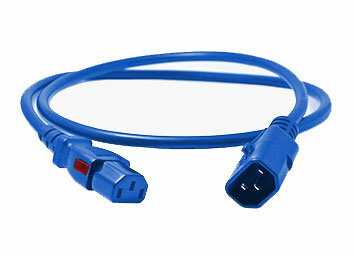 Enlogic locking IEC power cords provide protection against accidental power loss of your attached IT equipment when used with any Enlogic PDU or APC® AP8000 Series PDU. 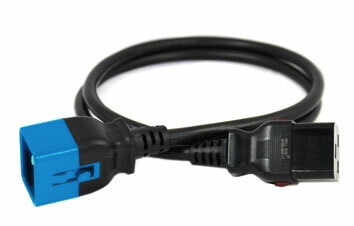 The locking IEC plugs into the PDU outlet with a locking tab feature; a method very similar used in standard ethernet cables to positively secure the connection. Meanwhile, the cord connector positively locks into the attached equipment power inlet without the need for supplemental retaining clips.